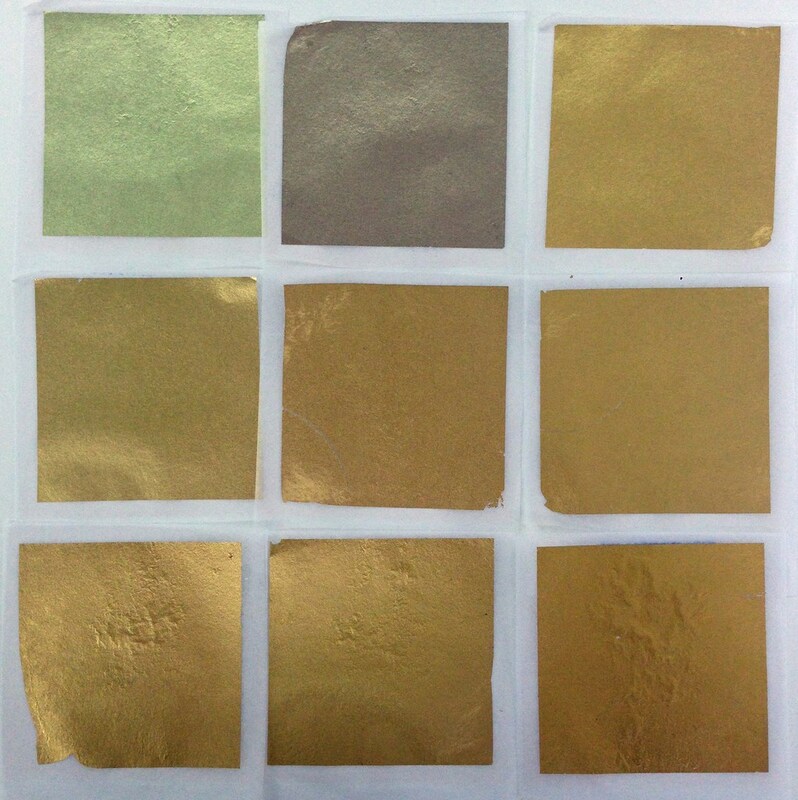 All the gold leaf I use is made and supplied by Habberley Meadows, Birmingham, UK. Habberley Meadows can trace their roots in gold leaf gilding and gilding supplies back to 1874 when one Benjamin Meadows set up in business beating Gold Leaf. Working from small premises in the heart of Birmingham he was one of a number of local gold beaters who provided gilding supplies to artisans. Today, some 135 years later they are one of only a few companies to specialise in the provision of gold leaf. The company is run by Benjamin's direct descendants. Brothers Chris and Jon Meadows are the fifth generation of the gold beaters family to work in the business. They head up a highly experienced company who understand the needs and requirements of those who use gold leaf in their hobbies or profession. I use a high carat for creating miniatures and pendants. It has a lovely soft quality which can create usually textured backgrounds in which to etch fine detail onto. An unusual soft grey with a hint of pink. As the Egyptian gold, it has a lovely soft quality in which to etch fine detail onto and a flattering colour for any skin tone. I use Lemon gold for creating larger works, as the gold is hardy and creates a more solid mirrored look for the larger area. Very similar in colour to Silver, but, as the Moon Gold, has a softer quality.